yeah, what was the point of that? If EA sees that the Wii U install base is better now, and Wii U can still run their games well, they probably will. EA did that announcement where they said all their biggest franchises would be making it to Wii U. I understand that they've completely backed off in the mean time, but they must have known Wii U could run higher demanding games. The Wii U is getting the same COD Ghosts game as Xbox One and PS4 with Wii remote and GamePad additions, and free online. I know, but their situations are similar, which is why I brought up COD Ghosts as an example that they aren't giving up on supporting a system that has become more viable in the past 8 months of time. That's why I was saying you can't expect 8th gen multiplats without Xbox One or PS4 on the market. COD Ghosts is a launch title for Xbox One, and it comes out for Wii U on the same day. The PS4 is actually the only console no one knows the exact release date for, now. The PS4 will only get the game once it comes out after Nov. 5th, but it won't get th game until Nov. 5th if it launches before then. No release date has been given for the Xbox One yet. I thought Microsoft had a policy that said multiplats have to be released simultaneously. That would imply that Xbox One is being released on Nov. 5th, because COD Ghosts is a launch title for Xbox One. Microsoft said Xbox One will release sometime in November. If Nintendo is announcing an Xbox One launch game on the 5th of November, that technically confirms Xbox One's release date. The only exception is if Activision or Microsoft don't know the release date yet. I don't see why Nintendo would be specific on the date if it wasn't correct, though. lol i was looking at it and was like 'woah, he has a lot of the same favs. i do, awesome music taste!' then i realized it was mine ._. Nope that policy is pretty much gone seeing a ducktales is next month for XBL. The rumored date for the PS4 is October 29th. I'm guessing were going to find out both release dates next month at Gamescom. On the note of games Shadow of the Eternals kickstarter has been relaunched for Wii U and PC with a PS4 stretch goal. Ducktales Remastered isn't a big title, though. Like you said, we should just wait and see, but Nintendo confirming COD Ghosts for Nov. 5 is a pretty big sign all the platforms will be available by then. EDIT: As for Shadows of the Eternal, I kinda hope it doesn't succeed as bad as that sounds. I think if Nintendo just stepped in and took control, the game would end up turning out alot better. Plus, Nintendo has claimed Eternal Darkness as an IP title. If Nintendo decides to to make an Eternal Darkness sequel after this game is made, it will make that game look like trash. The game could end up being a different genre I suppose, but I think the game has a better chance of doing well if Nintendo supports it. If it doesn't succeed to raise funds, Nintendo will probably collaborate with Precursor Games. I think that would be for the best for both parties, regardless of the "Nintendo are control freaks" type attitude. Spin around 3 times and do a little jig. brah I didn't' know you played the game and apparently anything nintendo hasn't touch turns to crap. Also shadows of the Eternals wouldn't made a potential ED sequel look like trash or vice versa. The two take place in completely different universes and despite similar themes can co-exist. That's like saying Halo and Destiny or Call of Duty and Titanfall can't coexist. I don't think being involved with nintendo would be the best for Precursor games. (In fact nintendo is the last out of the big three I'd want them with tbh). That would effectively kill the PC and PS4 skus of the game hurting revenue that could be made on those platforms. It seems you want the kickstarter to fail moslty becuse your a nintendo fanboy and would want a Proper Eternal Darkness game instead of a spiritual successor. 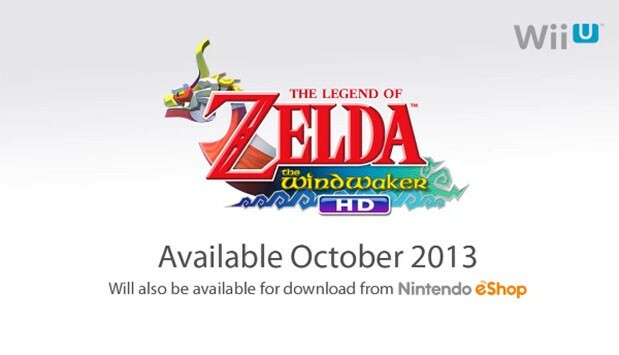 So its rumored that Nintendo is going to be doing a Wind Waker Bundle for the Wii U. That's a good start to get people ready for the system. I personally think there should at least be three different bundles in addition to a $50 price cut. and a $10 eshop credit. The PS4 and the tools to develop games for the PS4 natively support the Vita and all of the Wii U tools support the GamePad. Difference is, as I said, the Wii U comes with the hardware in the box and so all Wii U owners will have it. So the PS4 doesn't really support it in the same way. Kinda like how the Balance Board was easy to code for on the Wii but there wasn't really much done with it. Because it wasn't in the box. So there's native and then there's native... that's what I was getting at. That package is definitely a good deal, and I think in some ways it could almost work as a "relaunch" of the Wii U. If Nintendo can just get the word out A LOT and make everyone aware, it has the potential to draw in a bunch of people. I know it doesn't count for much, but many of my friends are being drawn closer and closer to the point of purchasing a Wii U - a Zelda package deal could be that tipping point for a lot of consumers.